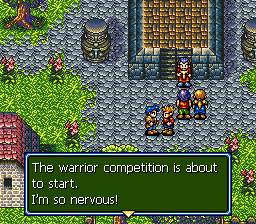 Barver Battle Saga: Tai Kong Zhan Shi is a role playing game for the Sega Genesis. 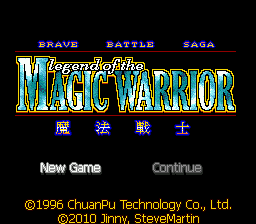 Just in time before the years end, the English translation of the Taiwanese unlicensed RPG Barver Battle Saga for the Sega Genesis is finally released! Lots of work has gone into this project, and I hope everyone will enjoy it. Be sure to check the read me for more about the game, who did what, and all the work that went into getting this game into English. Notice: This translation has been removed at the request of Piko Interactive LLC who obtained the rights to this game.